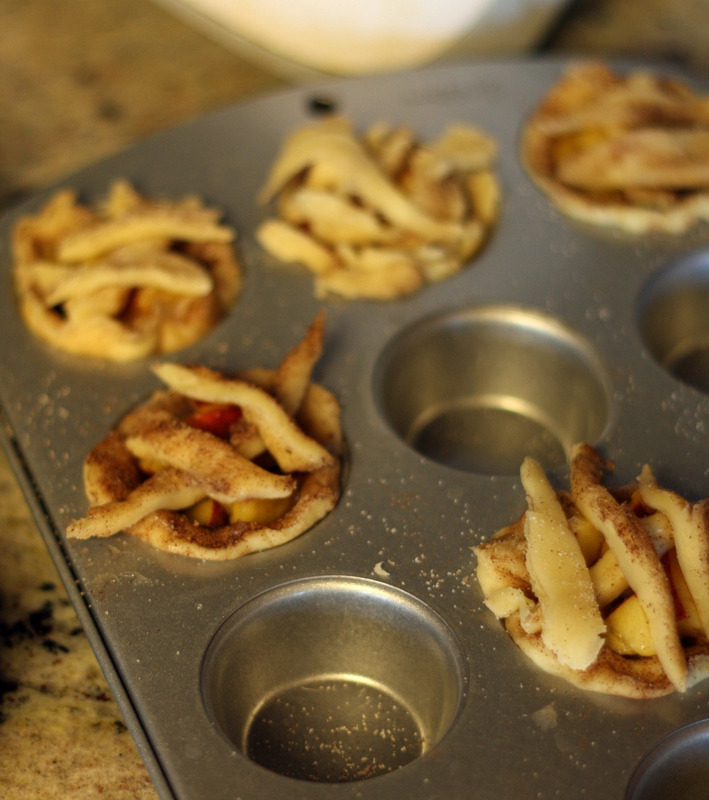 After making the pot pies, Abby had all these lovely scraps of pie crust leftover. I couldn't just let them go to waste now could I? 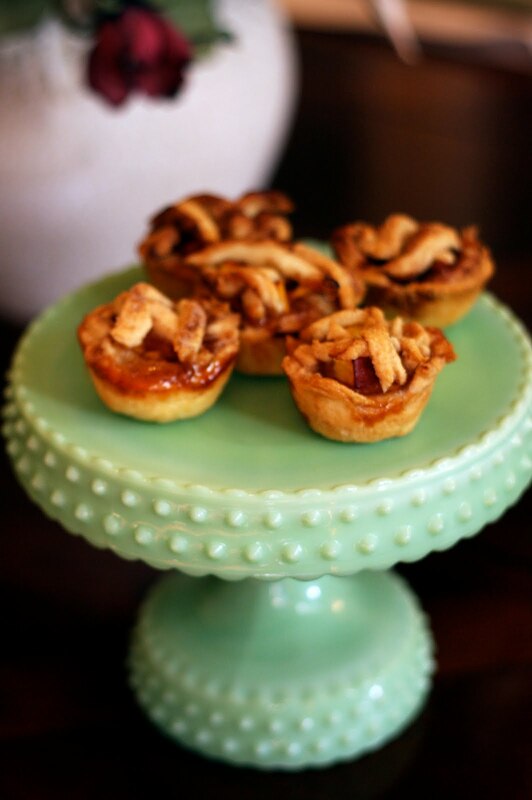 I sprinkled them with sugar and cinnamon, and pressed them into mini muffin tins. Then I cut up a peach, macerated it with some sugar for a bit, and spooned the mixture into the tins. Then I cut up the scraps into rough strips and criss-crossed them into some semblance of lattice work. I baked until they started to brown. It took all of 5 minutes, but they were pretty tasty, I must say. These would be great for kids to make since they look good messy.